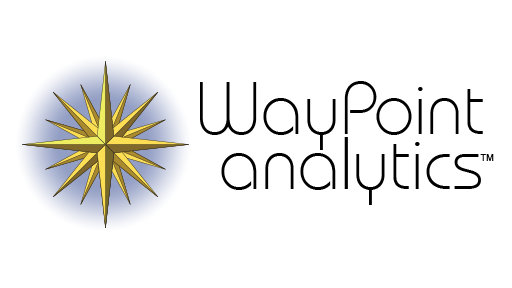 WayPoint has more than 80 base reports, each with up to a dozen pop-up sub-reports that drill into the finest details of your distribution business. There’s no programming required—we’ve developed essentially every imaginable view of how costs and profits are driven in each customer relationship, product line, sales territory, or aspect of your operations. These are reports you can’t find anywhere else! In this 30-minutes video, Randy MacLean explains the powerful impact of getting a Sales snapshot that factors-in deep costing and how it enables the Sales effort to get back on-track, to its core mission. Click to watch. 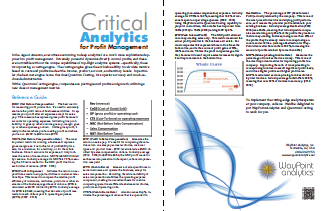 What Kind of Analytics do you need? 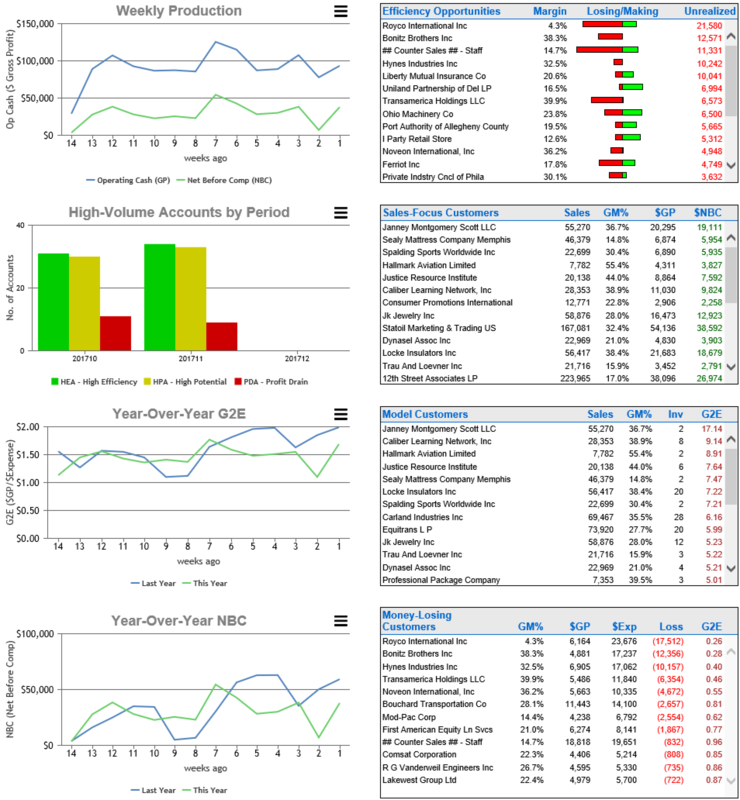 A summary of key metrics to implement in your company. No form to fill out, just click the image to the right for immediate access!